Sgt. Andrew Tahmooressi, a US marine and Afghanistan war veteran, has be held in a Mexican prison for more than a month. He said he accidentally crossed the border on March 31 with three personal firearms. Mexican authorities jailed him on weapons charges. The case has drawn attention from lawmakers in the US, as Tahmooressi’s fate hangs in the balance. Sgt. Andrew Tahmooressi is a 25-year-old US Marine reservist. He served four years in the Marines and did two tours in Afghanistan before finishing active duty in 2012. He said he was honorably discharged in November 2012, according to the Associated Press. His mother, Jill Tahmooressi, who is from Weston, Fla., said he had recently moved to San Diego to get treatment for post-traumatic stress disorder. The charges include possession of two firearms meant for exclusive use of the Mexican military; bail is not permitted. If convicted, he faces six to 21 years in a Mexican prison, said his Tijuana attorneys. Tahmooressi had three weapons, all registered in the US, including a .45 caliber pistol, a 12-gauge shotgun, and an AR-15 rifle. After he was jailed, Tahmooressi tried to escape by climbing over a gate and heading up onto a roof, and then onto another one. He gave up when a guard opened fire, but the incident earned him the nickname "Spider-Man." He later grabbed a light bulb and stabbed himself in the neck. He was taken to the hospital and given stitches. Why was he going to Mexico? "I was going to call them after I drove off the exit, but I never got off the exit, I blew right past it," he said. "I wasn't paying attention, thinking I had way farther to go. I ended up in Mexico with no way to turn around." Tahmooressi said he never intended to leave the country and mistakenly ended up at the border crossing point. San Ysidro is a border town in San Diego County that is a few miles north of Mexico. At Tijuana's El Chaparral Port of Entry, he tried to stop at the automatic crossing gates, but was waved through, and then guided to an inspection area. "They say, 'What have you got back there?' I said, 'A whole lot of stuff and three guns.' I said, 'I didn't even mean to be in Mexico.'" Mexican authorities found the three guns and Tahmooressi was jailed. It is difficult for the U.S. State Department to quantify how many arrests are due to accidental crossings at the U.S.-Mexico border, a spokeswoman told CNN, but Andrew Tahmooressi's case is not all that unique. In 2008, an active-duty Army soldier was jailed in Ciudad Juarez, across from El Paso, Texas, for driving into Mexico with guns, knives and ammunition. Former Army Spc. Richard R. Medina Torres also said he was lost and missed the last U.S. exit. He spent a little over a month in jail before being released. In 1999, a Camp Pendleton Marine was detained for two weeks in Tijuana after driving into the country with firearms. The Marine claimed he did so by mistake, and a federal judge ordered his release after the Mexican Attorney General asked that all charges be dropped. Lawyers for Tahmooressi told The San Diego Union-Tribune that Mexico’s federal code allows for the absence of intent to be used as an exception to the penalty, and Tahmooressi did not intend to possess weapons there. Is the US government doing anything to help? 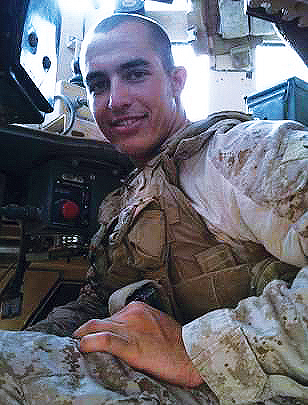 Several US lawmakers have petitioned for Tahmooressi’s release. 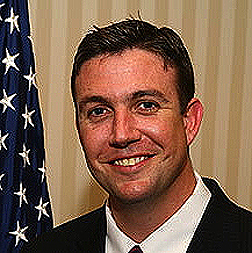 US Rep. Duncan Hunter, a California Republican and Marine Veteran, sent a letter to Secretary of State John Kerry on May 2 asking for assistance in the case. The State Department has said it is aware of a US citizen being arrested in Mexico, but do not comment on such cases involving private individuals without their permission, the AP reports. "Mexico's Attorney General is in a position to deal with Andrew's case and ensure its quick resolution ... it is necessary that the AG intervene and expedite proceedings at the very least. And so far there's been no validation from Mexico that Andrew didn't make a directional mistake at the border." Since his arrest, Tahmooressi’s parents and supporters have worked to bring attention to the case, even protesting outside the Mexican Consulate in Miami. There is also a Facebook page andWhiteHouse.gov petition. What is next with the case? According to Voxxi.com, there will be a hearing on May 28, where Mexican border officials will give a statement to the judge handling Tahmooressi’s case.